Want to make mobile apps? 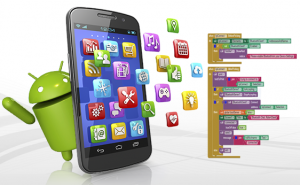 You can learn how to build apps using MIT App Inventor software, an innovative introduction to programming and app creation for Android devices. The software transforms the complex language of text-based coding into visual, drag-and-drop building blocks. This course will step you through building progressively more complex apps. You will learn how to build apps, programming concepts and terminology. You do not need to own a smart phone or tablet to take the class.